Addition on a Number Line Practice. 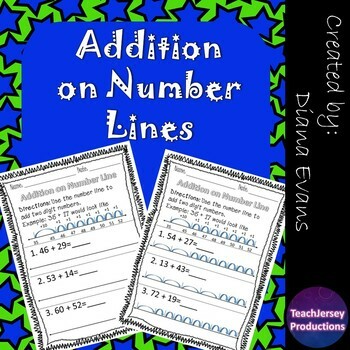 Could be used as an in class activity, homework or a quiz to assess student ability to add two digit numbers on a number line. Students will have to add two digit numbers using a number line. This product contains 5 worksheets to practice, some with assistance and some without.